The Blue Yeti Microphone and Blue Snowball are both popular microphones among content creators. They’re both USB condenser microphones that record high-quality audio. Even though these microphones are great straight out of the box, you need to consider buying a pop filter. So what is the best pop filter for the Blue Yeti and Snowball? Well before answering that, let’s talk about what pop filters do and the different types that you can choose from. 1 Do I need a Pop Filter for a Blue Yeti and Blue Snowball? 2 What Kind of Pop Filter Should I Use? Do I need a Pop Filter for a Blue Yeti and Blue Snowball? The short answer is yes. Of course. It’s always beneficial to use a pop filter with condenser microphones. Pop filters are used to reduce or eliminate popping sounds caused by the impact of fast-moving air on the microphone during recording sessions. They prevent air pressure that comes from plosive syllables such as words that start with a “B” or “P”. Using a pop filter with your Blue Yeti and Blue Snowball will improve your overall audio quality, and is a great investment for any content creator. What Kind of Pop Filter Should I Use? Nylon pop filters are usually the cheaper options when comparing these two types of pop filters. These type of pop filters are effective at eliminating the popping sounds by stopping air through friction. They do save you money, but just be careful when purchasing cheaper nylon pop filters. Many people find that cheap nylon pop filters sometimes aren’t as effective, or effective at all. This is usually due to the double screen mesh being installed incorrectly. A lot of the times it’s because the mesh material was placed back to back with no air gap making it completely ineffective at stopping most pops. The air gaps are absolutely essential in nylon pop filters to diffuse the air blast. Nylon pop filters also collect spit and other junk which can affect your audio recordings. You’ll have to clean it which can be a little of a hassle compared to metal pop filters. Use a nylon pop filter if you’re looking for something that’s cheaper in price. There are many more options of nylon pop filters compared to metal ones, so make sure to look for only the highest of quality that fit your price range. Metal pop filters perform the same job as standard nylon pop filters, however in a different way. The grooves on metal pop filters redirect the air instead of stopping air through friction. Metal pop filters are really nice to work with and some may even say that their audio recordings sound much better. Metal pop filters are more on the expensive side, however, if you wanted a pop filter of higher quality, it would be the optimum choice. It’s also much easier to clean and maintain a metal pop filter as you can simply rinse it clean anytime you would like. Go for the metal pop filter if you’re willing to pay more for higher quality equipment. The Blue Yeti Pop Filter from Auhponix is an excellent pop filter for both the Blue Yeti and Blue Snowball. It easy to set up and works well with both microphones while coming at an affordable price. The pop filter was designed for the Blue Yeti and Yeti Pro, but you can still use it with the Blue Snowball and other microphones. You easily attach the pop filter using it’s clamp directly onto the Blue Yeti microphone tabletop stand or onto your desk/table. It will remain stable for use while not damaging the surface you clamp it onto. This pop filter is also built with double screen mesh, giving the best distortion-free recording without degrading the audio quality. It has a strong, but flexible gooseneck holder that supports the weight of the filter head and makes for easy set-ups. The Pop Universal Pop Filter by Blue is a very good choice for someone who is looking for a metal pop filter for their Blue Yeti or Blue Snowball. It’s a high-quality pop filter that does a good job at reducing or eliminating popping sounds from fast-moving air during recording sessions. The sturdy wire mesh and frame on this pop filter ensure years of durability and use. This pop filter can be used with any microphone, however, there are some things to keep in mind. You might find it difficult to use this pop filter with your Blue Yeti and Blue Snowball microphones if you’re planning to use the tabletop mic stand that comes with the mics. This particular metal pop filter is built to clamp onto any microphone stand easily, but not onto tabletops or other flat surfaces. There are ways of setting up this pop filter with your Blue Yeti and Snowball’s tabletop mic stands, however, you’re going to have to experiment with it. We would highly recommend using this pop filter if you have an external microphone stand set-up with your Blue Yeti and Snowball. This is a premium choice when it comes to pop filters, but it’s definitely worth it. The effectiveness of removing unwanted sounds makes a big difference. This metal pop filter is a good investment for people who really care about higher quality equipment and is willing to pay a little extra for it. This Microphone Studio Pop Filter from DragonPad USA is a good choice for someone who’s shopping with a budget but still wants a good quality pop filter. It’s a nylon pop filter with a 6-inch screen in diameter and a 13-inch flexible neck. DragonPad USA made this pop filter easy to use and set up. This pop filter utilizes a swivel mount for easy installation. You can install this pop filter onto a mic stand or your desk/tabletop. It works well with both the Blue Yeti and Snowball microphones, even if you plan to use it with the tabletop mic stands that come with the Blue Yeti and Snowball. You don’t have to worry about buying another microphone stand to use this pop filter. The DragonPad USA pop filter will help keep your microphone from distorting and clipping during your recording sessions, all at a lower price. Another thing we would highly recommend you buy is a foam windscreen. They’re relatively cheap and work well in conjunction with your pop filter. Foam windscreens are designed to fit snugly over the microphone element casing. Any microphone can benefit from additional sound pressure protection that comes from a foam windscreen. Having that extra layer of protection will help improve your audio quality while also keeping your microphone clean and safe. These windscreens do the same thing as pop filters, helping reduce unwanted sounds that come from fast moving air and plosive syllables. They can also help eliminate any background hissing. We have found foam windscreens that were built for the Blue Yeti and the Blue Snowball microphones. These are the ones we would like to recommend to you. This Foam Windscreen was made specifically to fit the Blue Yeti microphone, however, it can fit with other large microphones that are up to 2.s inches in diameter. 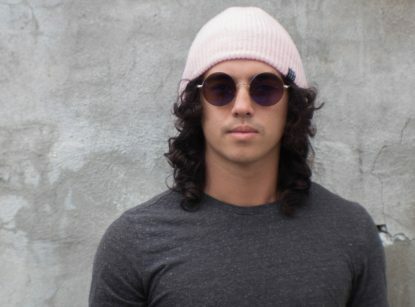 It utilizes premium quality acoustic foam that filters out all unwanted background noises while capturing subtle tones. The windscreen also acts as good protection for your mic. It helps protect your microphone from saliva and dust damage. Overall, this windscreen is built to last you years of use with your Blue Yeti Microphone. The Blue Snowball has a unique design that requires a unique windscreen. This particular windscreen was built specifically to fit the Blue Snowball microphone. Using this windscreen with your microphone will help reduce wind noise and other noise interference, ensuring a clear and high-quality recording. Overall, it’s the perfect foam windscreen for Blue Snowball microphones. They are built with high-quality materials that guarantee you years of use. Well there you have it, the best pop filters for the Blue Yeti and Blue Snowball microphones. If you want to get the best audio quality possible from your Blue Yeti or Blue Snowball microphones, it’s ideal to invest in a good pop filter. There’s a lot of options out there. 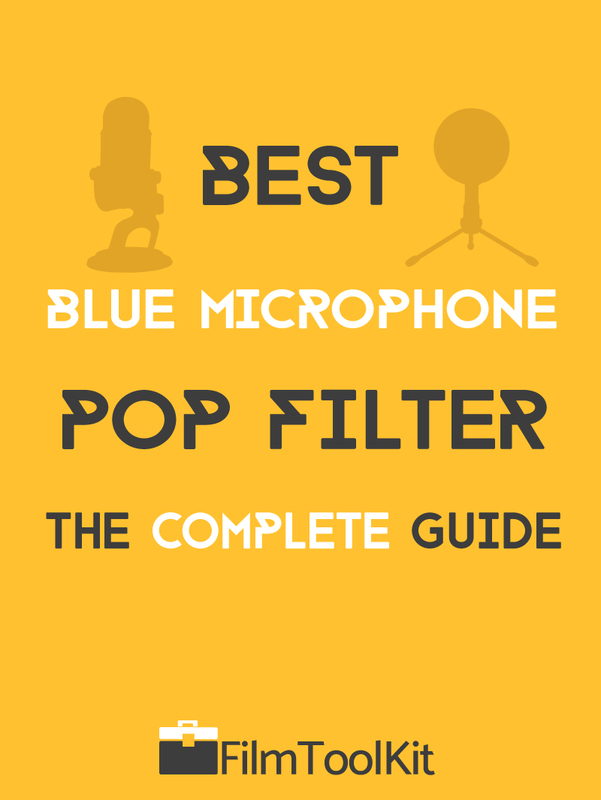 Hopefully, this guide helps you pick the best pop filter that fits your needs.